Kiman Hoi An Hotel & Spa is the best 3 star hoi an hotel has to offer – providing great value hoi an accommodation for our guests with 40 modern rooms. 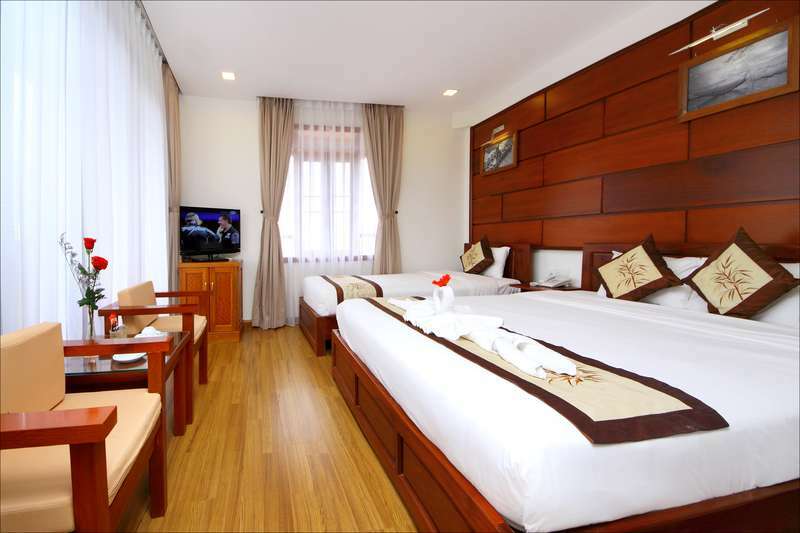 We offer Standard, Deluxe and Family Rooms which are tastefully decorated , spacious, clean and comfortable. All rooms include air conditioning, flat screen TV’s with satellite channels, tea and coffee making facilities, mini bar and bathrooms equipped with hair dryers . 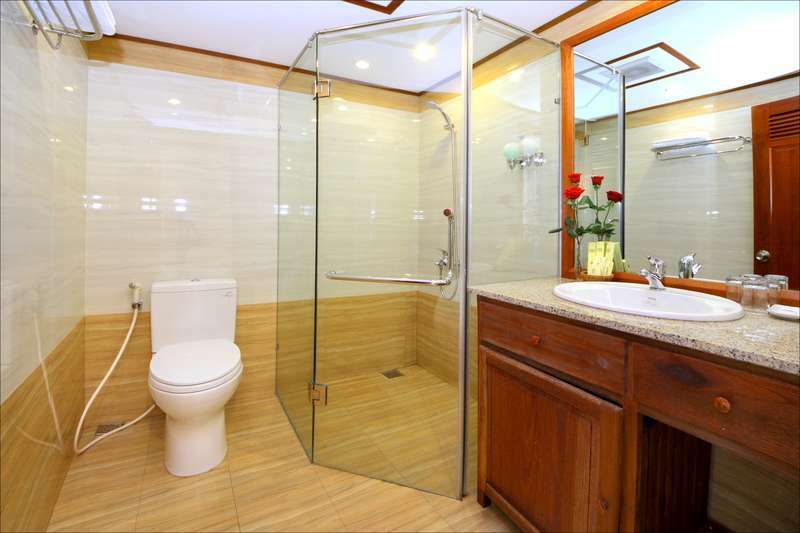 The bathrooms are large and maintained to a high standard of cleanliness. Free wireless internet access is available in all areas. There is also a limited number of bicycles free for guests to explore Hoi An and the surrounding area. Kiman Hoi An Hotel & Spa is also proud to offer restaurant, spa, and bar facilities. The restaurant serves Western, Asian and Vietnamese food including local Hoianese dishes such as Wonton, Cao Lau, White Rose and Quang Noodles. - 60 km from My Son Sanctuary. Any cancellation received within 7-4 days prior to arrival date will incur the first night charge. Any cancellation received within 3 days prior to arrival date or failure to arrive at our hotel will be treated as a No-Show and the total amount of booking will be charged.